January 12th, 2019 Night Anna University published exam results. We already shared about it on this page. This result shared first via SMS. After, Anna University released this result on aucoe.annauniv.edu portal. But portal server down after this result. Still, Most of the students trying to check Anna University Nov Dec 2018 exam results. After this incident, #BanR2017 coming most trend in social media. We also received lots of messages regarding BanR2017 hashtag. #BanR2017 means Ban Regulation 2017. Anna University updating Regulation 4 years once. Recently, They released the choice based credit system that is called Regulation 2017. 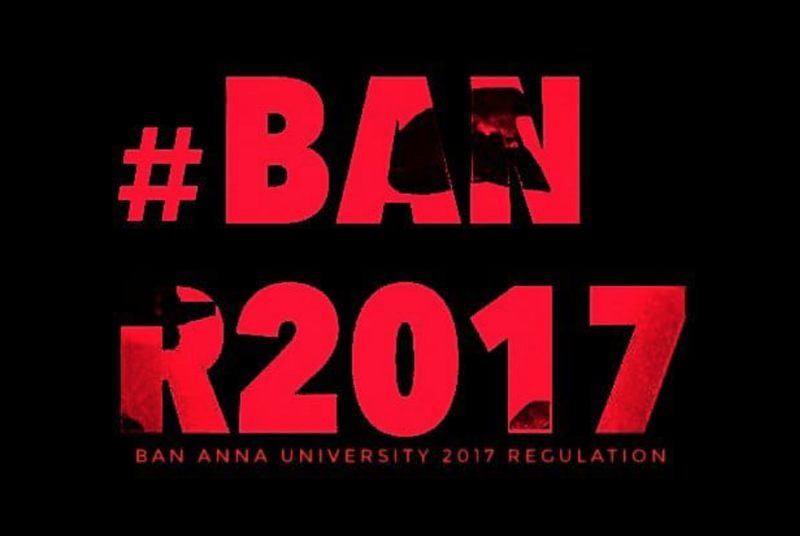 Why students requesting Ban Regulation 2017? One of the biggest disadvantages of Regulation 2017 is students only written arrear exams 1 year once. That means if you have arrear in 1st sem means then you only written exam with next first year students and Anna University also changed internal marks too. Previous, Regulation students can able to write arrear in next semester and his internal marks never changed. So, Students create online groups join together and they will plan to do strike against Anna University. We hope AU will respond to students soon.